We can arrange individual or joint Mediation Information and Assessment Meetings (MIAMs) with one of our mediators. Our fee for this service is £70 for an individual session and £100 for a joint session. We do not charge VAT. Our fees for mediation remain as listed on the Cost page. The government now expects anyone who wishes to start court proceedings regarding family matters, e.g. orders for contact with a child, or financial orders in divorce proceedings, to first have a meeting with a qualified mediator. This regulation has been introduced because it is generally believed that it is better for couples to reach their own agreements rather than go to court, which tends to exacerbate the conflict and is usually more expensive than mediation. In our experience most couples reach agreement in mediation. At the Information and Assessment meeting you will have the opportunity to talk to the mediator about your situation and what you hope to achieve from mediation. 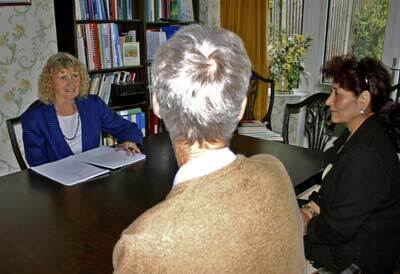 The mediator will explain to you how mediation works and answer any questions you may have. She will also try to work out whether mediation suits your situation and whether it would help you reach an agreement with your former partner, who will also be invited by the mediator to attend an individual meeting. If mediation is found not to be suitable for your situation, or if one of the recognised exemptions apply to you, we will discuss other options with you. We will also complete form FM1, which you will have to take either to your solicitor or produce to the court before you apply for a court order.